I’ll be presenting an occasional series on songs that I consider to be power pop by artists not normally associated with power pop. “How Do I Make You” comes from 1980’s Mad Love, an album I never got around to buying, or was ever interested in buying. However, I do like “How Do I Make You” a lot. I don’t know why Ms Ronstadt decided to jump on the New Wave bandwagon. Maybe she wanted to explore musical avenues she hadn’t gone down before, and New Wave was there for her to dip her musical toes into. Or maybe she was fed up with soft country rock and wanted to break free from the prospect of being pigeonholed as a heart-breaker for the rest of her career. Or – I think this the most likely scenario – maybe Linda’s record company wanted her to cash in on the latest trend by recording a song that sounded more like it belonged on Blondie‘s Parallel Lines than on a Linda Ronstadt album. Anyway, after “How Do I Make You” and Mad Love, Linda Ronstadt went in sorts of musical directions. Wikipedia does its best to chronicle the saga. 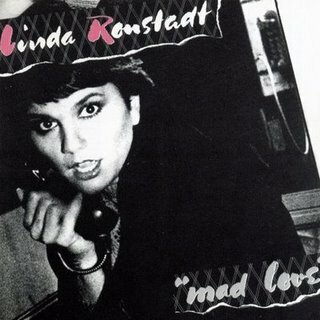 So, by my estimation, Linda Ronstadt was a power pop (OK – strictly speaking, New Wave) artist for precisely one album*. After that, it was Broadway, jazz standards, pure jazz, pure country, traditional Mexican folk songs, adult contemporary pop, New Age, rock’n’roll, and roots music. Phew. 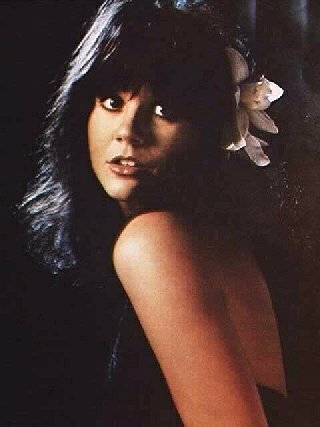 You are currently browsing the archives for the Linda Ronstadt category.